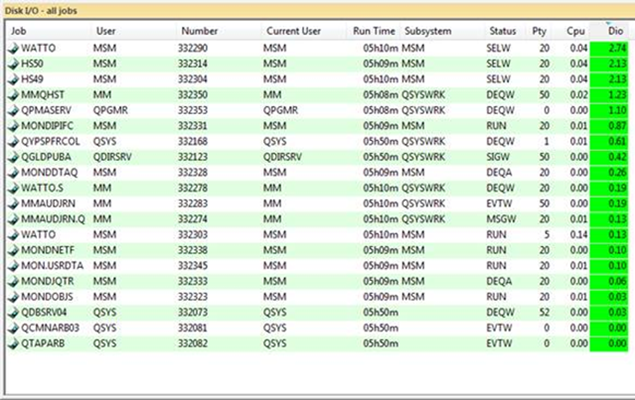 The CCSS performance and status monitoring solution, QSystem Monitor, includes features that can be leveraged to monitor independent auxiliary storage pools (known as IASPs). A summary view of ASP information, so you can display current IASP status and performance metrics. 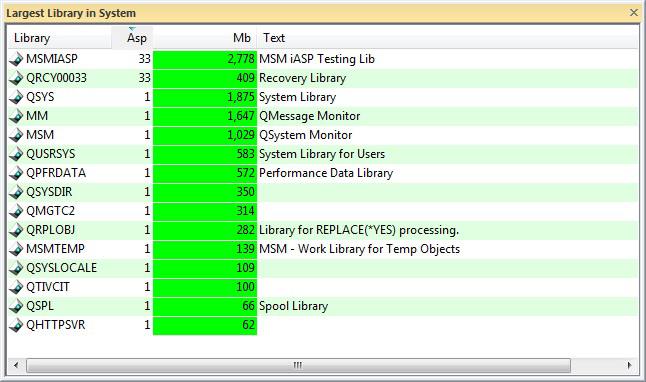 The monitoring of ASP information, which allows you to track IASP status and performance both in real-time and through its historical development. Messages that are sent automatically when an IASP has an issue such as an overflow or a hardware error. The following sections describe these capabilities in more detail. 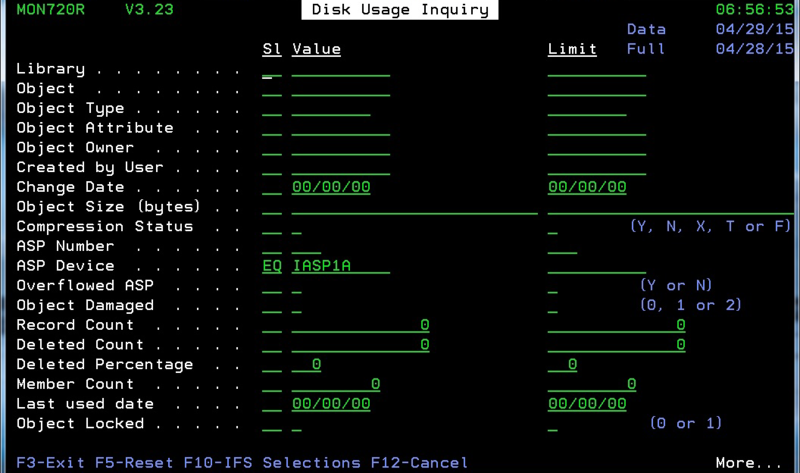 There is also the Disk I/O monitor type that provides a job-level breakdown of disk activity, if required. 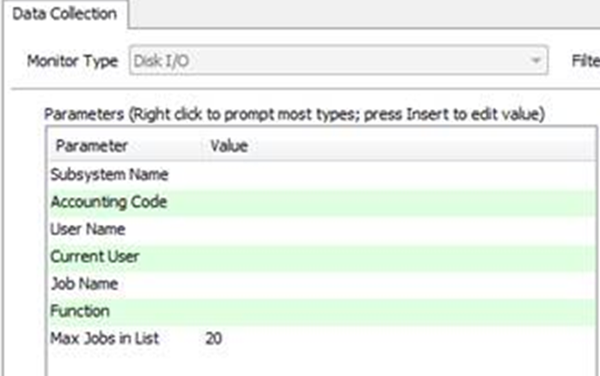 The Disk I/O definition shows the available parameters that are used to provide a list of monitored jobs. 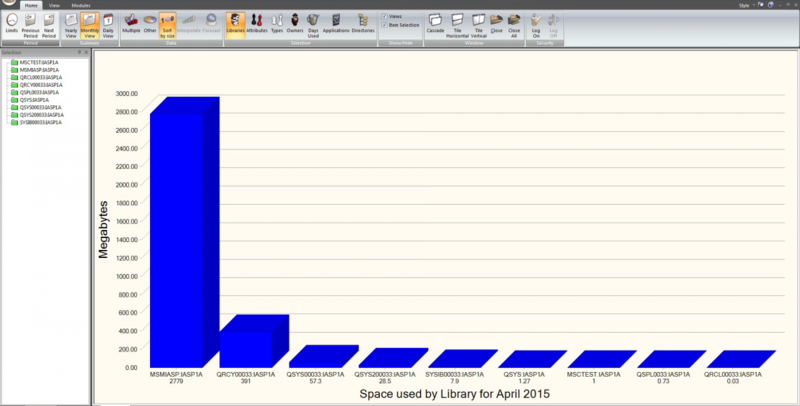 The Disk Data Collection (overnight and real-time), Summarization, Audit Reporting and display programs have been changed to include the ASP name and treat it as part of the library name; it will in effect become a qualified name for the library. 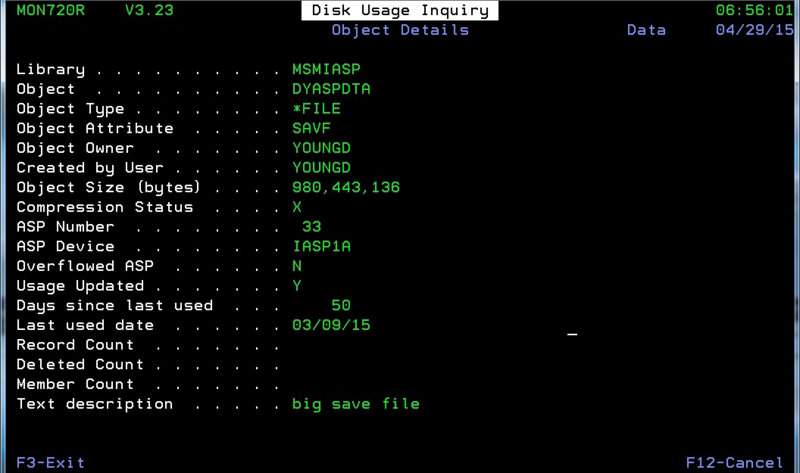 Disk Collection: Application definition has been changed to allow for IASP names. MONDSKINQ has been changed to allow inquiry by IASP and the display of IASP information. The Disk Audit report has been changed to report by IASP. 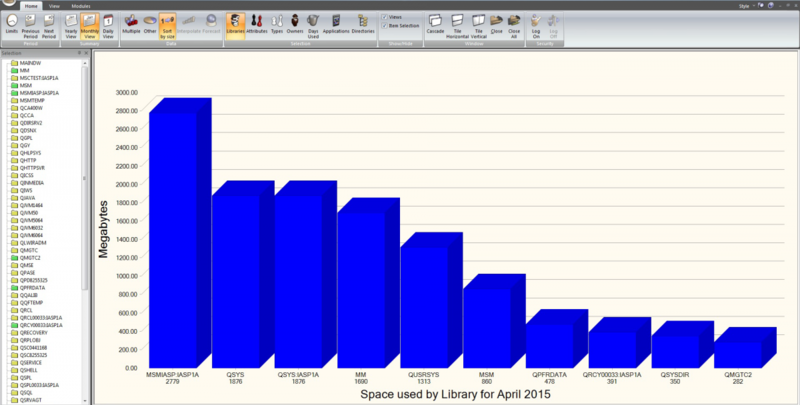 Disk Summary: Displayed library names are qualified when IASPs exist for the system. 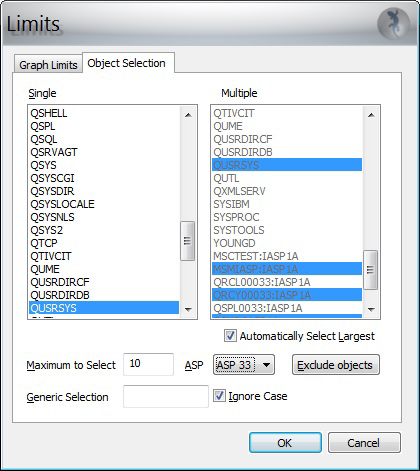 The user will be able to display data for a selected IASP or data at the *ALL level. Report Generator: The report Generator will need to store the IASP list for disk summary entries. Online Monitor: A new IASP parameter has been added to the definitions. The following table contains a list of ASP-related messages which QSystem Monitor generates under the conditions described in the message text. These apply to independent ASPs as well as system ASPs. 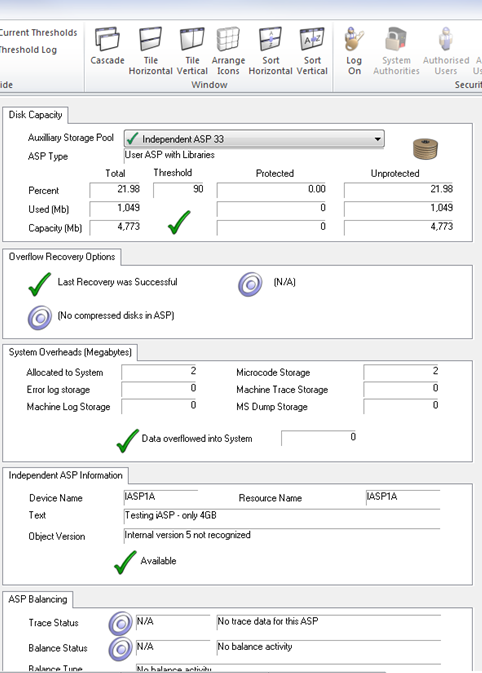 MON3004 99 Warning: Disk failure for ASP &2, on system &1. MON3005 00 Warning: Disk ASP &2 synchronizing, on system &1. MON3006 99 Warning: ASP &2 overflowed on system &1. MON3007 99 Warning: ASP &2 has failed unit on system &1. MON3008 99 Warning: ASP &2 has a hardware failure for a unit on system &1. MON3009 99 Warning: ASP &2 has a unit not ready on system &1. MON3010 99 Warning: ASP &2 has a write protected unit on system &1. MON3011 99 Warning: ASP &2 has a degraded unit, on system &1. MON3012 40 Warning: ASP &2 in parity rebuild state, on system &1. 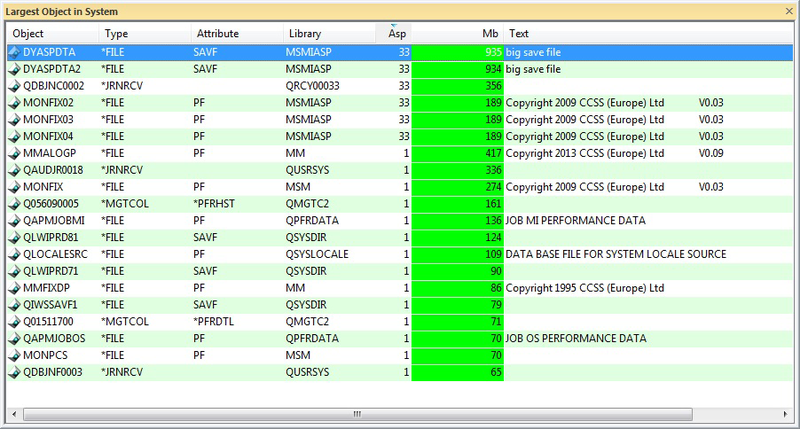 MON3013 40 Warning: Unallocated disk units on system &1. MON3018 99 ASP &1 on system &2 has overflowed. MON3019 99 Warning: Disk &4 in ASP &3 on &2 has a problem: &1.